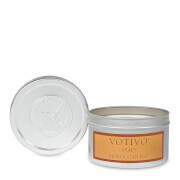 Aromatic, hand-poured soy blend candle from Votivo. 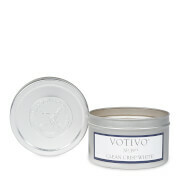 Fill your abode with the delectably sweet, inviting fragrance of Red Currant. Opening with tart, fresh notes of rich red currants and a sparkling fruit glaze, before succumbing to a heart of vanilla bean ice cream and freshly baked sugar cookies filled with zingy raspberry.